The bargain of the week has to be lambs liver in Tesco which is currently selling at £1 a pack. I'd been vaguely thinking in terms of cooking it with mash and onion gravy but my husband offered to make one of his specialities, a Portuguese dish called Iscas. I can never pin him down to quantities but basically it involves coating the liver with flour flavoured with dried rosemary and sage, frying it lightly then deglazing the pan with port (no, not particularly frugal unless you have some, which we do), vinegar and squeezing in a good dollop of tomato paste. Oh, and 2 or 3 sliced up cloves of garlic are cooked in the oil first. We usually have it with spinach or broccoli then feel very virtuous and smug about the amount of iron we've taken on. Conveniently forgetting the port which will probably give us gout. There are other rather more precise versions online of which this one from Cookipedia looks about the best. Do you eat liver and if so, what's your favourite way of cooking it? I love lambs liver. I want to cook it with a chunks of pineapple. Never tried that I must admit . 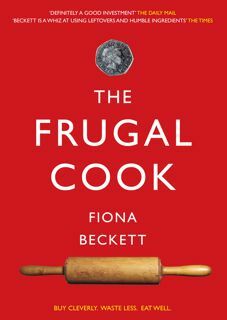 . .
Liver and other bits of offal was always regular fare at home when we were growing up because it was so cheap. I haven't eaten liver for years, although my ex-husband used to cook it in a tomatoey sauce that was really nice. Next time I see a bit of lambs liver I might give this recipe a try, thanks. It is really good value notSupermum it's just a question of finding an appetising way to cook it. One of the first dishes I learnt to make was a Good Housekeeping recipe called Liver and Bacon Provencale which was obviously not Provencal but very tasty nonetheless. Spicing it up a bit like this really helps. I've been contemplating making pate for a while, it's one of my favourite dinners with some crusty bread and salad - I've noticed it's so cheap to get organic chicken livers that it'd almost be rude not to have a go! Just got to get over my squeamishness first! Seriously, I'm craving for something like this. It's really delicious when cooked with tomato sauce. @TheFoodieHistorian I think you've put your finger on the main problem people have with liver - the texture. But if you can get over your squeamishness it is a brilliant food. Chicken liver paté was one of the first things I learnt to cook. Glad to find another fan, Stephen! I only eat lambs or chicken liver as it's mild enough for my liking. Lambs is always panfried with tomato and onion to be served with mash and gravy. 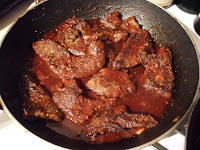 Whereas chicken liver is ideal for making ragu as it enriches an otherwise ordinary meat pasta sauce. I've been thinking about doing a chicken liver sauce recipe for pasta, Robert. I discovered a great one from Franco Taruschio the other day. Mmm looking forward to it. Chicken liver is so frugal as a 227g tub costs just 43p from Tesco and it feeds two generously or three people more sparingly. Have you tried dirty rice? It's a Cajun chicken liver rice recipe. Very tasty!